Serious back pain can be debilitating, making it painful to walk and even sleep. Certain conditions may be pretty much incurable, however, that doesn’t mean that you can’t still find ways to ease the pain and make it more manageable. 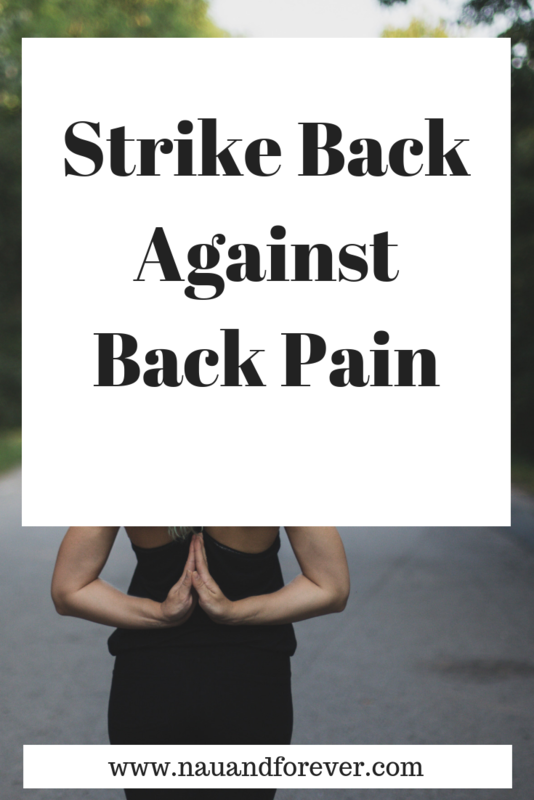 Here are just a few of the steps you should take to help you cope better with back pain. The first thing you should do when experiencing back pain is to visit a doctor. If you’ve recently been involved in a sports or a car accident, you definitely need an appointment. A doctor should be able to give you an official diagnosis and offer pain relief advice based on your specific ailment. After all, there are so many types of back pain from muscular to skeletal pain, It could be in your lower back or your upper back. Many doctors will recommend a chiropractor to give more detailed advice on how to cope with your condition. You may also get prescribed medication to ease the pain. Many people with back pain find it difficult to sleep on a regular mattress. You may find that you need a firmer orthopedic mattress to help support your spine. You can also use pillows to help reduce the pain. There are many places online where you can learn more about orthopedic bedding. Years ago, doctors would recommend getting rest in order to relieve back pain, however recent research has shown that this could make back pain worse. You’re better off still being active as exercise can help to get the blood flowing and release vital endorphins that help to fight pain and inflammation. Of course, you should be careful as to which exercises you do. Low-impact exercises such as swimming and yoga are great options as they’re unlikely to put much strain on the back. There are numerous herbal remedies that can help to ease back pain. Many swear by turmeric and ginger as natural painkillers, while cherries and pineapples also contain nutrients that can relieve pain. Some people even find that weed helps. Medical marijuana has psychotropic properties that can help to relieve the feeling of pain. You could also consider getting a professional massage. A chiropractor may be able to give you a massage that is targeted to your pain. That said, a regular massage could still relax the muscles and provide some relief. The hot water in a bath is excellent for fighting back pain – many doctors will go so far as to recommend a hot bath. Not only does the buoyancy of the water help to relax the muscles and ease inflammation, but the heat can help to release endorphins that directly fight pain. Treat yourself to a hot bath whenever you can and you could find that the pain is less intense. Back pain is definitely no fun. Luckily, there are options to help relieve pain. Talk to your doctor and find out what the best course of treatment. If you want tips on strengthening your back, check out this post.